← John Rasiej, how can you speak your message effectively? Angelika is an internationally traveling performer, song-writer and recording artist, who dedicates her life to uplift, inspire and heal through the gift of her angelic voice and music. She grew up in Germany, expressing her love and natural talent for music with her guitar, flute and voice. She holds a Master teaching degree in Physical Education from a German University and studied music as a post graduate at California State University in Sacramento. Angelika’s ever present, strong spiritual quest and love for the wilderness led her to move to Alaska at age 24 and spend the next 9 years leading a very adventurous life, full of risk and challenges, including commercial fishing, diving, mountain climbing, flying hang-gliders and airplanes, working in gold-mines and building her own cabin in the woods. One day, sitting in a flower garden in deep prayer, searching for her own unique purpose and direction she asked spirit with the greatest intensity what to do with her life, when a strong, internal voice answered: “Healing through music”. No further explanation was offered, so Angelika studied music for the next 2 years. It was fulfilling and enriching to further develop her passion and talent for music, songwriting, arranging and recording. Angelika will tell everyone to keep fanning the sparks of their dreams no matter what the odds, or how much time it takes to realize them and to ask the universe for help when we get stuck, expecting an answer! Angelika considers it her good Fortune/Karma to have the opportunity to study with some of the great Masters and Saints of our time, Mata Amritanandamayi, Shree Maa, Mother Mira, Amma Karunamayi, Sri Bhagavan/Amma, who have been instrumental in her spiritual growth as well as learning sacred mantras and songs in Sanskrit. Swami Satyananda Saraswati patiently taught her some of the pronunciation and meanings of the ancient songs and scriptures of India and Shree Maa presented her own tamboura as a gift for the journey, which is needless to say Angelika’s favorite instrument. 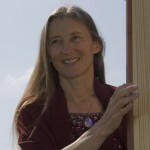 Angelika loves the image of a Divine Mother nurturing and caring for all of creation and has many divine Mother songs and chants in her repertoire. Her spiritual path is one of devotion and acceptance of all religions. In her music she expresses this universal and eclectic quality. All paths lead to the one whole and complete source and understanding. Amma Karunamayi transformed/healed Angelika of a great fear and shyness about performing asking her to always sing in prayer as an offering to the divine in all forms. “Sing to God, my child, this will be your sacred path home”, she said and Angelika took it to heart. Since 1991 she has been giving concerts at retreat centers, churches, schools, private homes and for benefit or other special events and large spiritual conferences, internationally. Angelika allows the energy of divine serenity, joy and peace to come through her. In this space, healing and connection can happen and many people are deeply touched by her music, feeling the love re-awakening in their own hearts. In the early summer of 2005 Angelika connected with the Oneness movement and the Deeksha energy transmission. (Please see Diksha page) She received training and initiation at Oneness University near Chennai in January 2006 to transmit Deeksha in various ways, but especially through her music. Her music ministry has been even more empowered spiritually and raised to new heights since then through the Avatars Sir Bhagavan and Sri Ammas personal blessings. Many national and international tours are being planned for the next few years to help speed up the process of awakening humanity. This is why Angelika will share this gift wherever she can, big or small events, near or far. She follows spirit’s calling and is looking forward to meeting you somewhere. In 2001 Angelika adopted the raw/living foods life-style for 4 and a half years and conscious food preparation and natural nutrition are another healing modality which Angelika finds useful for transformation and healing and she considers those years as a phase of deep inner cleansing and preparation for the big shifts happening in consciousness in our world right now. 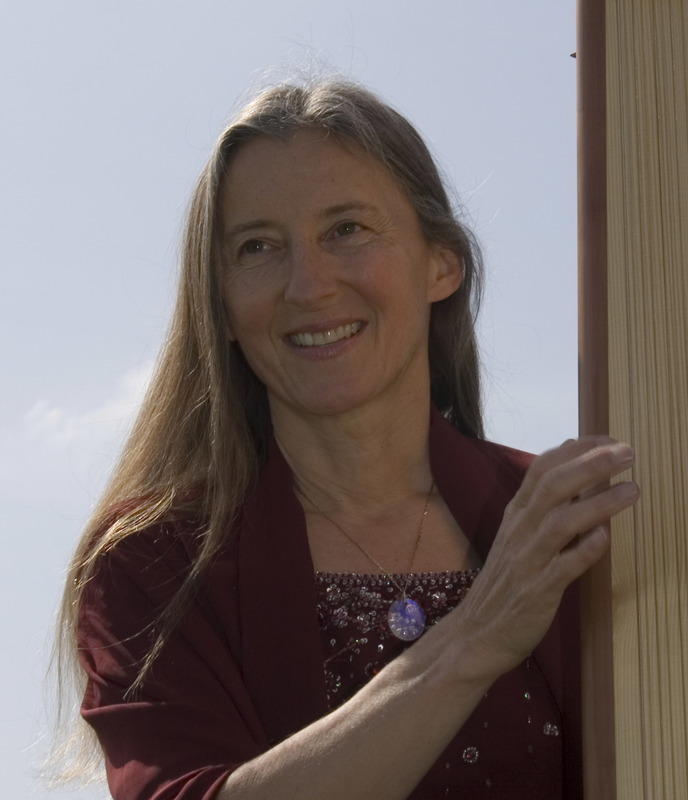 Angelika is performing and teaching internationally and when at home is recording and producing her new music, enjoying the garden, the river and their rustic, off the grid, eco wilderness home in the Sierras.